This intriguing four-character play takes place in the lobby of a New York apartment building in 1999. The hero of the title is Jeff (Michael Cera), the security guard on the graveyard shift. The actor drapes his slight frame in an Armani of tics. The beguiling Mr. Cera deftly delivers both comic and tragic lines. He is sweet and powerful, a soul struggling toward redemption. You believe every word, every gesture. He gives us the polished, subtle performance that has become his brand. David Rockwell’s set relies on a revolving cube that periodically pitches the lobby elements — the desk, the elevator, the front doors— just a bit to relieve what could have been tedium. He changes the audience’s perspective slightly. It’s a modest and clever manipulation, a palate cleanser of a move. Directer Trip Cullman’s challenge is regularly picking fights among his four wildly disparate characters — two cops and two security guards all dressed in near-matching costumes — then plausibly restoring equilibrium. He has a lot to work with in Lonergan’s spiky script. Cullman gets plenty of “fight” out of Brian Tyree Henry (William). Tyree does that thing that few actors can deliver. He has a handful of scenes with Jeff (Michael Cera). In each, Henry manages to build to a kind of rage and then pull back to an apology. He’s not just keeping a governor on his anger and exasperation; he takes the roundtrip each time — at least three times. Maybe it is a one-trick pony but it worked for me every time he did it. Bel Powley plays Dawn, the probational cop partnered with Bill (Chris Evans), a master manipulator who is “this-close” to a gold shield (and you know what that means because you watch television). Dawn is battered one way and another. Her role as victim gets a little tiresome. Powley is a British actor belaboring a Bronxian-Brooklynian accent of sorts, blaring every line . 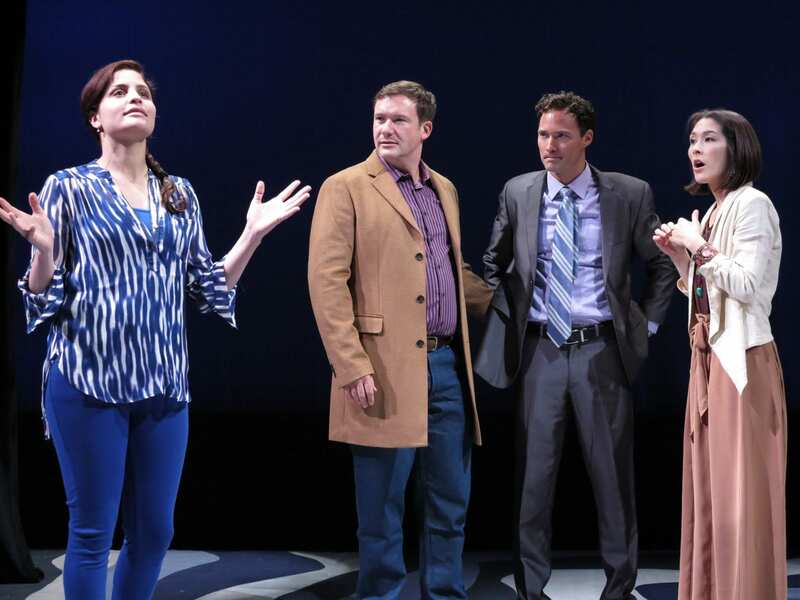 Playing a rookie cop, she makes an actor’s rookie mistake: she forgets to listen to her fellow players — instead seeming merely to wait for her turn to speak. Playing against the broad strokes of Chris Evans, who takes big steps and makes loud noises, it works. Playing against the subtle tones of Michael Cera, it comes up a bit bald. 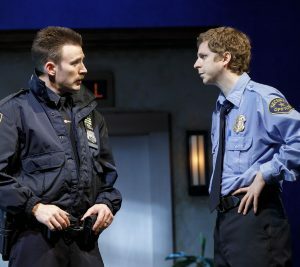 Lobby Hero offers four gifted actors well-directed, and a script to die for. There is lively laughter peppered through Act 1, as we get to understand Jeff and William, Dawn and Bill. Act 2 opens with everyone’s issues spotlighted, an angry foreboding is established. And then —the resolution. I won’t tell you what happens, except to say it is, at best, subtle; at worst, a bit flat. I recommend you go and enjoy all that comes before and see how the finale strikes you. WITH: Michael Crea (Jeff), Chris Evans (Bill), Brian Tyree Henry (William), Bel Powley (Dawn). Designed by David Rockwell; lighting by Japhy Weideman, sound byDarron L. West. 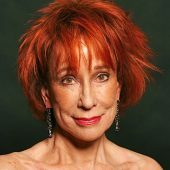 Presented by Second Stage at Helen Hayes Theater, 240 W. 44th St., Manhattan; (212) 239l-6200. Through May 13. Running time: 2 hrs. and 25 min. with one intermission.